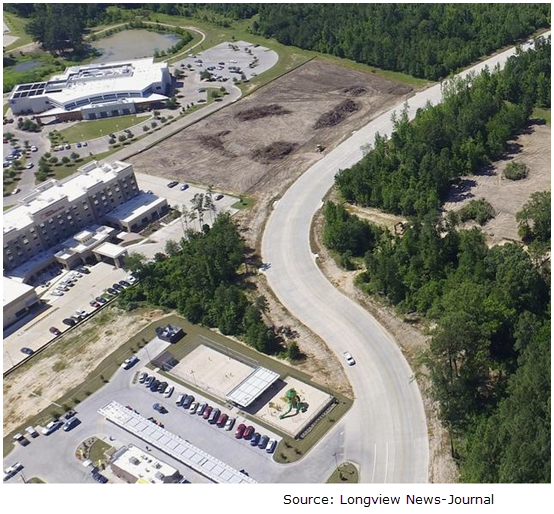 ​​​​​LONGVIEW - A medical office park will be built on about four acres in the Park Central retail and office development on the new Fourth St. extension. Village Square M​edical Plaza will consist of five buildings with a total of 43,504 sf, according to plans filed with the City of Longview. The project is by builder Scott Hamilton and Huffman Builders. Listen to Podcast 302 for this story and more.